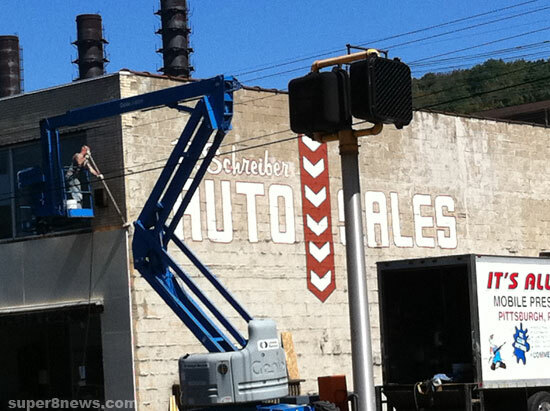 Thanks to 26062 for posting these images from around Weirton, W.VA of the changes that are going on around town in anticipation of filming of Super 8. There's not a whole lot going on here, but this is just the beginning of the changes this small town is going to see and hopefully we'll have eyes and ears around town capturing all the details on camera for us. For the hi-res images head on over to the forum. Thanks again 26062, glad you found a way to share them with us. UPDATE: After the jump you can find a few more pictures thanks to chazzmcc3, thanks for all the pictures guys, keep em coming! Here are a few more pictures courtesy of chazzmcc3. 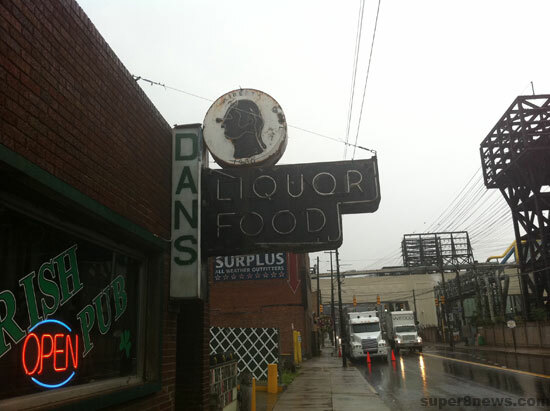 I was able to snap some pictures on my iPhone of some filming locations around Weirton. 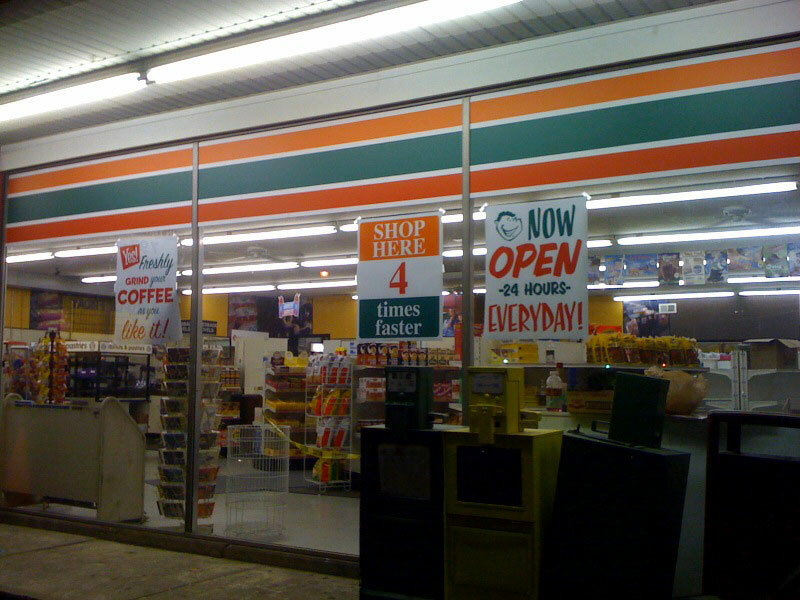 The first two shots are of a convenience store that has been converted into a 70's era 7-11. They wouldn't allow photos inside the store. Btw: no sign of any drinks with blue lions or blue cans with lions at all, and no can koozies either. I looked. 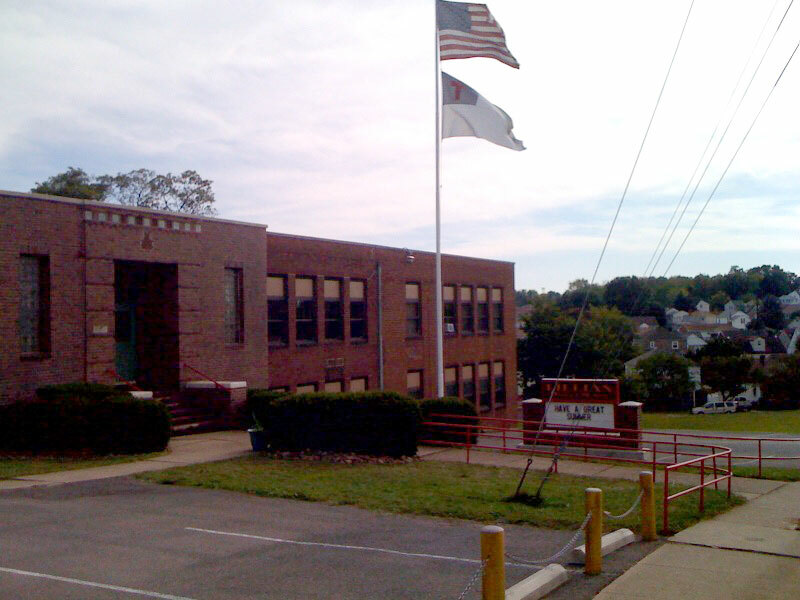 The other two pics are of a fictitious middle school. The building is actually a church, though I think it used to actually be a school. 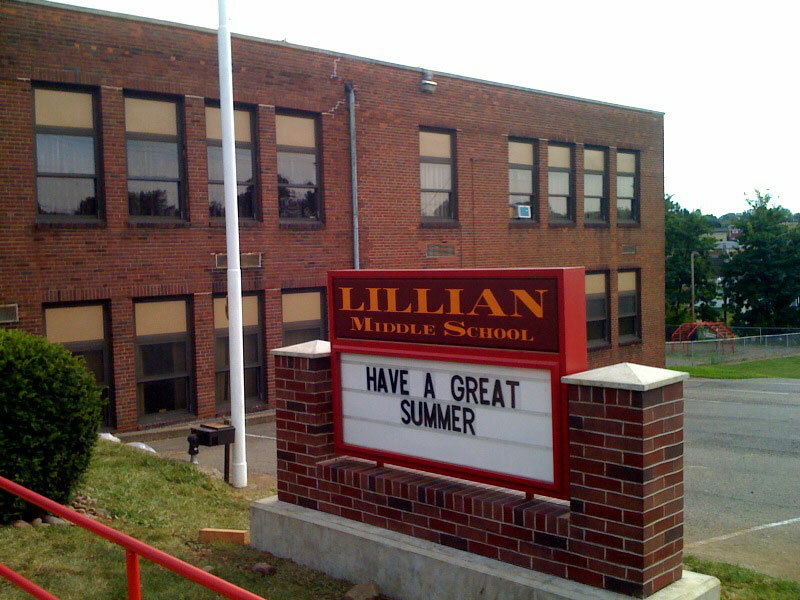 As you can see, the school is Lillian Middle, because the town in the movie will be Lillian, OH. Kyle Chandler and Elle Fanning reportedly first actors cast. I saw that yesterday, just waiting for something a little more official before I post something, but thanks for the update. 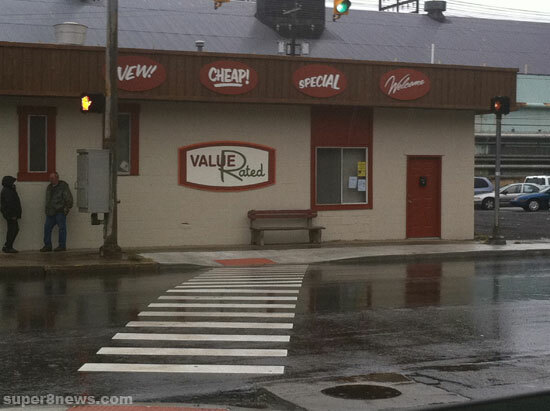 Yes, two of the pictures are from a convenience store in Weirton. 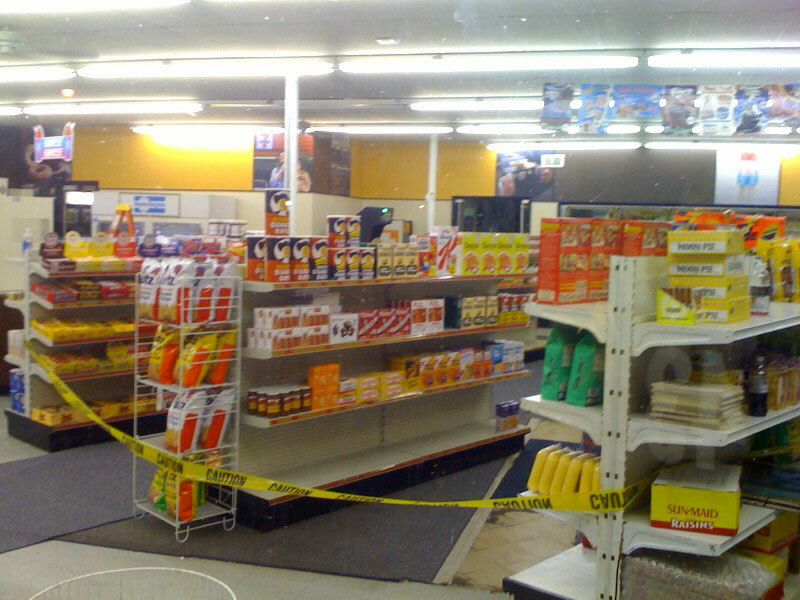 It has been temporarily “gutted” and made to look like a 7-11 from the late 70’s. 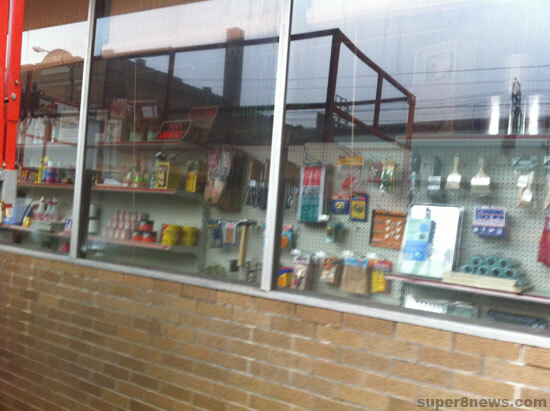 If you look closely at the pictures, you’ll see the old style labels for many of the items. I was able to walk around inside, because the store was still open as of yesterday. They wouldn’t let me take pictures from inside, but I got some from the parking lot. In the back of the store was a vintage Asteroids arcade game, which was released in 1979 (the year in which the movie takes place). As for the reflection, it doesn’t mean anything. There were some candy and newspaper vending machines in front of the window. If you notice on the ninth photo, theres a Rocket Popcicle poster in the top right corner. 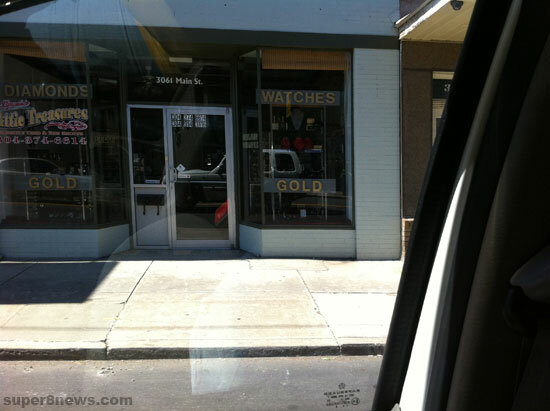 Sorry, I don’t think I can get any in-depth pics of the store. They are filming there tonight, and they’ve had round the clock security since last night. ah, thats okay, i think we can wait. It’s not like it will affect the viral. 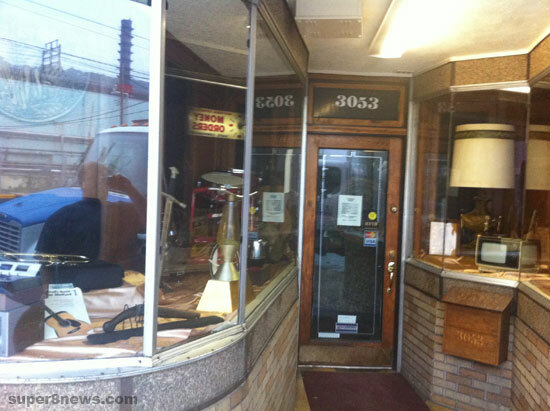 James Locke was in East Liverpool, S & A foods was actually A&S and the store was right where the used car lot is. Marsh hawrare was down the street by Carolyn’s florist, next to Mike’s Auto repair. The set painters did an extrordinary job, The town looks better than ever, I wish they’d stay do several sequels and fix the whole place up! oh! almost forgot, did you also notice the slush drink ad? Might be an easter egg for SLUSH-O. Or it could just be a regular 7-11 Slurpee. I’m 100% sure that there’s gonna be Easter Eggs in the movie. Like the RP, Slusho, and maybe other things. Wow! It is really exciting to see your hometown in a major movie! Where is that convenience store located? Is it the one down the road from the high school? no bikes,i have one,you can use. it is a 1976 suzuki, (304)374-8768.charles truex. 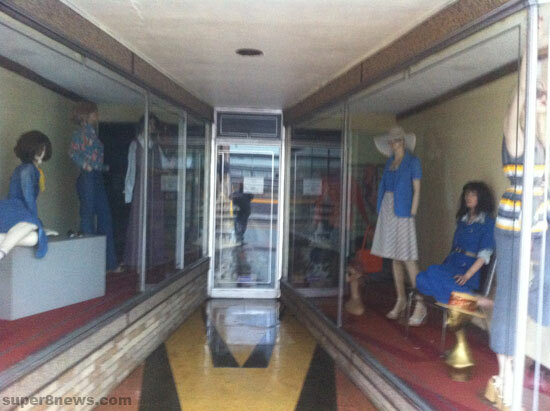 the whole town of weirton is exciting right now…what they have done looks just like it came out of the movies…or we just had a hot tub time machine moment….